Intensive care is an interesting, fast paced and eminently rewarding place to work. However, those working there also know that it can be a difficult place to be, for patients, parents, families but also for staff. Not only is the emotional burden of intensive care work high, but, as you can imagine, or may be all too aware, the daily, constant, complex decision making can also take its toll. Ventilation is one of the cornerstones of intensive care management, taking over breathing and ventilation until the patient is ready and capable to continue alone. 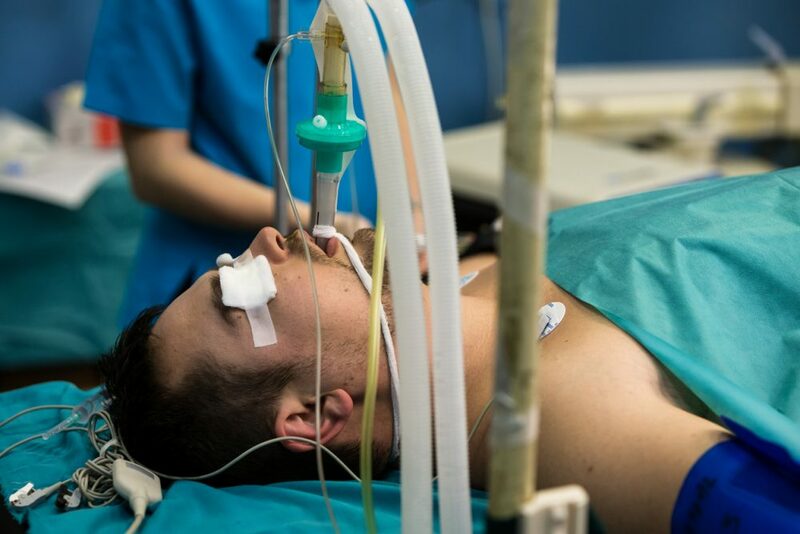 Although it is a lifesaving measure, as clinicians and nurses, we are all too aware of the pitfalls associated with prolonged intubation and ventilation. Protocolized weaning – what is it? Knowing how and when to wean down the ventilator with a view to stopping is an art, seemingly done best by the most experienced clinicians, senior nurses and, internationally, by wider members of the multi-disciplinary team. Experience and practice in interpreting clinical findings inform decision making usually and can take many years to acquire. In contrast, protocolized ventilation is the application of a clear set of rules/plans that facilitate and encourage team members to actively wean ventilation. In some cases, some very fancy ventilators can even do this themselves in a ‘closed-loop’ format- no human input required. Several Cochrane reviews have been completed looking at the use of protocolized ventilation weaning in various populations- adults, children and neonates. These have all been quantitative reviews. In the adult population at least there is good evidence that protocolized ventilation weaning can shorten ventilation weaning time in certain patient groups. In paediatric and neonatal patients, an absence of evidence hinders progress. Importantly, reviews of protocolized ventilation weaning have raised the importance of not only considering if the intervention ‘works’ but also how it might fit into the wider picture of the complex beast that is the intensive care setting. How would issues like staffing, skill mix, resources and clinician willingness affect the uptake and success of such an intervention? These issues are also of significant importance in the paediatric and neonatal setting. This particular Cochrane review “Factors that impact on the use of mechanical ventilation weaning protocols in critically ill adults and children: a qualitative evidence-synthesis” sets out to address that question. As a qualitative review, rather than numbers, the review has investigated themes and created summary statements based on the output from interviews and focus groups in units where protocols were under investigation. What do staff think about this, and how might their thoughts and attitudes affect the implementation of the intervention? It is all well and good saying a protocol reduces ventilation time, but if no one is following it, the benefits will be lost. Well, the main themes are maybe as you would expect. There is worry that using a protocol takes away the ‘art’ of managing ventilation. Senior doctors and nurses especially would rather use their own knowledge and approach. This feeling was especially prevalent when discussing complex patients or those in the immediate pre-extubation phase. For those with ‘less artistic skills’, junior medical and nursing staff, weaning protocols were helpful and liberating, setting out clear rules to empower them to actively move care along. Some teams felt that staffing, continuity of care and the labour-intensive nature of ventilation weaning, all limited the full application of a paper-based protocol, especially true during busy periods and in the case of patients with multiple additional care needs. On the plus side, introducing ventilation protocols has brought the subject of ventilation to the fore. People in the studies were talking about it and ultimately did think there were some positive elements such as nursing empowerment, more standardised care and the ‘safety net’ of knowing you were weaning at the appropriate time and in the right way. Protocols also provide a framework for discussions with parents, families and carers, enabling them to better understand the process. This qualitative review assessed the quality of evidence by looking at several summary statements, whittled down from all the themes identified from the studies. Out of these, the confidence in the vast majority of the statements was low or moderate; that is to say that not many of the studies backed that particular statement or those that did were small. That being said, this qualitative analysis brought forward age old issues about confidence, accountability and the importance of clear concise clinical messages that people can understand and action. These are themes that we can all relate to and that run through all sectors of health care in the UK and I am sure, internationally. 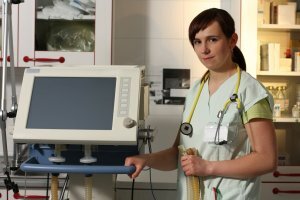 “The intensive care nurse is in a unique position as they are at the bedside providing more care than any other professional group and therefore are arguably best suited to managing the weaning process. Protocol directed weaning provides a safe method of weaning for all levels of nurses, providing a structured and consistent approach. Due to medics’ different approaches to weaning and the complicated nature of different patient’s responses to the process, a weaning protocol can provide consistency for nurses. Junior staff may not feel confident in planning or carrying out weaning, therefore a protocol provides them with a safety blanket to help develop their skills. Thinking back to being a junior nurse myself, the idea of touching a ventilator terrified me, yet I was the one telling the medical staff about the patient’s ventilator requirements. A weaning protocol would have been empowering at such a time and I truly believe would have enhanced my confidence and ability to help progress a patient forward. Due to nurses’ close association with the patient and knowledge of their ventilation, they are more sensitive to the patient’s progress and responses. Thus, nurse-led ventilation weaning is only logical. Implementing new procedures, guidelines and protocols is rarely simple. This analysis does show that intensive care teams (physicians, nurses and allied professionals) could see both the benefits and potential barriers to implementing protocolised weaning. At the heart of all this is the patient, and if ventilation can be weaned collaboratively, safely and faster by using a well-designed and followed protocol then there is a patient making a medical move forward, a family on a step in the right direction and a medical team with one more success under their belt that bit sooner. Read more Evidence for Everyday Nursing blogs here.